Et Seq. 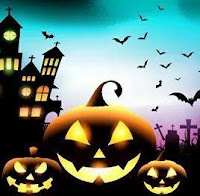 is the blog of the Harvard Law School Library and they have offered this post about Halloween and the Law. It's a great collection of links to other material including The Devil and Homer Simpson, the Salem Witch Trials and a discussion of whether the law in England requires sellers of houses to reveal the presence of ghosts! There has been some speculation that the government may be about to move in the direction of allowing at least some prisoners to vote in elections - The Independent 29th October. At the time of writing, nothing appears about it on the Ministry of Justice website. The present ban is in the Representation of the People Act 1983 section 3. Note also section 3A relating to offenders detained in mental hospitals. See The Guardian 29th October. Her Majesty's Courts and Tribunal Service (HMCTS) has set out priorities for the next phase of courts and tribunals reform - see HERE. An article published by Prospect Magazine (29th October) offers a view on why the Brexit-related letter from Chris Heaton-Harris MP to University Vice-Chancellors was so misguided. Please see this previous post on this topic. Recently the High Court prevented the playing of part of Symphonie Fantastique (Berlioz) for "Moors Murderer" Ian Stewart-Brady who died in May - previous post. Barrister Barbara Rich has published this interesting article - The Obsequies of Monsters. 6 King's Bench Walk has started a blog relating to criminal law and you can sign up for regular news. Definitely worth following this one for those with a serious interest in this subject. The Justice Gap looks at the long awaited independent review by Dame Elish Angiolini into deaths in custody. The review has found ethnicity to be a ‘significant contributory factor’ in relation to fatalities. The wide-ranging report calls for reform of the police watchdog the Independent Police Complains Commission including the ‘phasing out’ of ex-police officers leading investigations; an end to the conferring between officers before they make statements; and legal aid for families whose relatives have died in custody. Since 1990, 1,563 people have died in police custody with a third of these being from a BAME background. Tom Hickman has two recent posts on the UK Constitutional Law Group blog - Public Law's Disgrace and Public Law's Disgrace Part 2. Hickman claims that THE most important issue is that the majority of the population cannot afford to being a judicial review claim. 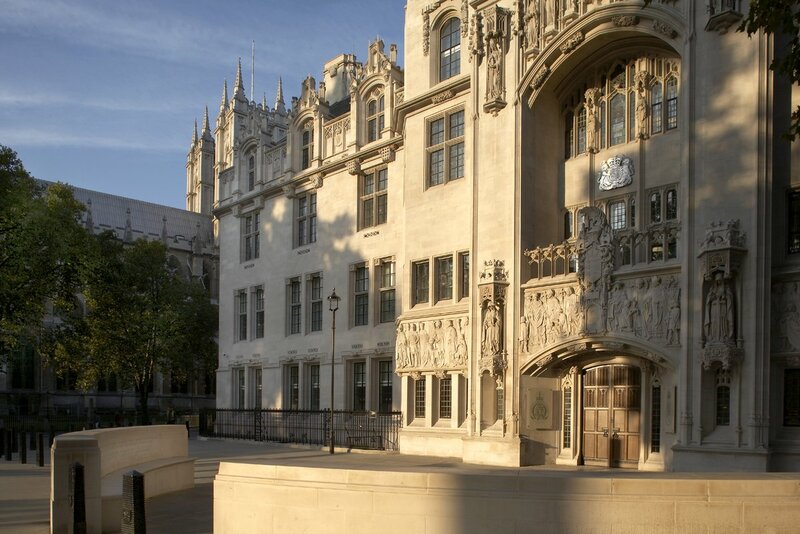 Further, the issue of access to justice, and specifically the cost of litigation as a bar to accessing justice, is rightly becoming a major constitutional issue in the UK. From time-to-time we see "crowdfunded" attempts to bring judicial review about some aspect of government policy. A recent application concerning the Conservative - DUP "supply and confidence" agreement has been rejected by the High Court - see previous post and The Guardian 26th October. Another crowdfunded application relates to the Article 50 Brexit Notice. This challenge argues that "The UK is confronted by the greatest set of problems and difficulties it has faced since 1940 because of Brexit. Based on careful study, a group of lawyers, academics and business people have concluded that the triggering of Article 50 was incorrectly done. The UK and the EU are involved with an expensive and elaborate Brexit process which may be predicated on a mistaken and illegal basis. Article 50(1) clearly requires a valid decision to be made before the mandatory notification to leave the EU can be issued. The government made sure the referendum could never be such a decision whatever the result, specifying it as advisory only. Parliament was not asked to make the decision. With no formal decision, the process is invalid." A previous post looked at the (elusive) Decision to leave the EU. Public Law for Everyone (Professor Mark Elliott, Cambridge) considers Judicial Power and the UK's Changing Constitution. In the paper, Professor Elliott begins with the premise that judicial power, in any rule of law-based system, is a given. But that leaves open the hard question: how much judicial power is too much? That question has risen to particular prominence in recent years in the United Kingdom, where the judicial role has changed and expanded in notable ways. As those developments have unfolded, they have attracted strong criticism from some quarters. In particular, charges of overreach have been levelled at the judiciary, and there have been prominent calls — from sections of both the political establishment and the academy — for the clipping of the courts’ wings . Brexit Options has interactive graphics looking at the possible choices facing the UK after it leaves the EU. UK Human Rights blog has three posts looking at Radicalisation The posts are based on a podcast given by barristers at 1 Crown Office Row and the podcast may be downloaded from their blog. Returning to Halloween see what Parliament's website says about Witchcraft . Formal accusations against witches – who were usually poor, elderly women – reached a peak in the late 16th century, particularly in south-east England. 513 witches were put on trial there between 1560 and 1700, though only 112 were executed. The last known execution took place in Devon in 1685. The last trials were held in Leicester in 1717. Overall, some 500 people in England are believed to have been executed for witchcraft. Read also about the notorious Witchcraft Trials held in 1612 at Lancaster Assizes - The Witches of Pendle.